This is what I discovered in my nearly two decades in this business about how inexperienced camera buyers get exploited. All genuine professional cinematography equipment is made in very limited numbers and extremely costly when new. This leads most first time purchasers to the used equipment market. When your are shopping for a used motion picture camera or cine lens, there is no way you are going to be able to resist an ad with a very low price for the camera or lens that you are interested in. Hey it’s your hard-earned money and these items are costly even when used. Plus we all love treasure-hunting for a bargain. You are almost certainly going to be worried about the condition of the camera or lens. But what do you really know about its condition besides what you can tell by just looking at it? A shady used camera/lens dealer will always tell you the camera is in “good condition”. When the camera arrives you open the package (with much anticipation, I’m sure) and discover that, invariably, the item looks rather dusty and worn. 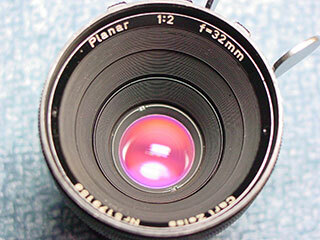 If it’s a lens it most certainly has coating or even glass scratches and the inner elements look cloudy. If it’s a camera the accessories don’t seem to work or are incompatible with the camera. You test the camera, and it runs, but it is quite loud and the movement sounds strained. You are not impressed. Get used to it. It’s your gear now. Don’t bother complaining to the used dealer. This is what he is going to say “Of course it looks a bit worn. It’s a used camera/lens. These items have been out of production for a long time now. Don’t worry the camera was checked out by our technician and it is O.K.”. The absolute last resort, and the last thing he is going to mention, is refunding your money. It’s going to take an act of Congress to make that happen. Now it seems the burden of proof is on you. It should really be the other way around. But most of us have a tendency to accept what a sincere sounding person says as probably being true. Sometimes, you might feel like you are accusing the other person of being a liar by calling what they are saying into question. You may not know anything about what kinds of things a camera/lens technician should be checking when they check out a used camera or lens. But you’re the customer, and it’s your money. You should call everything into question. This is what really happened with your camera or lens. It came from some other source, probably overseas. Maybe Russia or one of the Baltic Republics. The dealer has no idea what the history of the camera or lens is. He doesn’t have time to get into that and doesn’t really care. He can always make up a good sounding story on the phone/email if he needs to. So why bother? The “technician” didn’t look at it. Maybe the “technician” doesn’t exist at all. After all, they don’t work cheap, if they’re any good that is. I charge $150.- per hour for my repair services and I can tell you that I never get work from used camera dealers. Any money they spend on checking or refurbishing the equipment comes out of their profit. The most likely scenario is that your camera arrived at the dealer’s in a cardboard box from its source. He took it out, barely looked at it to see that what he purchased is all there. He then proceeded to take out any accessories that were included in the original package that you haven’t specifically asked for. He’s going to sell those separately. If the camera included a really nice clean accessory and he has an older, more beat-up one laying around, you’ll get the old one. He will probably take the time to plug in a battery and make sure the camera runs. That’s about it. Now how much do you think he paid for that film camera? Probably about half of what you’re paying for it. 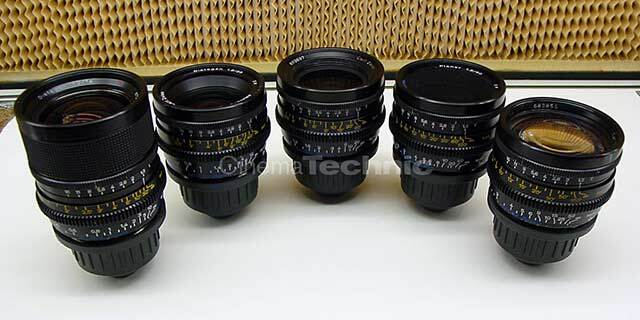 Due to the demand for cine lenses, the profit margin on them is smaller. Now, maybe you could understand making a big profit if the camera was completely overhauled and rebuilt prior to the sale. Maybe you could understand the profit if the dealer had to put up a big chunk of his own money to buy ten of these cameras overseas, pay import duties, and then wait patiently in debt until they sell. Maybe he has to pay a camera technician $150.- an hour to check the camera and clean and lubricate it prior to the sale. But he just took the camera out of one cardboard box and put it into another one, and your paying a 100% profit for that. O.K. this isn’t such a good deal after all, you decide. But, wait. Didn’t you already pay for this camera/lens? Hasn’t the camera dealer already cashed your check or charged your credit card? Yes, he insisted. It’ doesn’t seem unreasonable, we pay for everything up front in this consumer society. You couldn’t expect the dealer to ship the camera to you in another state without you paying for it first, now would you? He doesn’t know who you are besides a voice on the other side of the phone, anyway. Yes, unfortunately, you are stuck with this part of the bargain, even if you had purchased the camera from me. But with a shady camera dealer, you have already given up all your leverage in the deal and are probably stuck with your camera as-is. A shady dealer doesn’t care about his reputation. He’s not in it for the long haul. Perhaps he’ll be doing business under another name next year. Once he’s got your money, any extra work he has to do, or money he has to spend to fix any problems with your camera/lens is considered to be a loss of time or money to him. He’s already working on the next deal. Maybe he’s got a huge overhead, or a lot of bills and creditors chasing him down. He’s got to score the next deal and get that money into the bank ASAP. What’s going to happen is that he’s going to either tell you whatever he thinks will satisfy you and make you go away, for a while at least, or you will not be able to get him on the phone at all. Maybe you are told to send the camera back so the “technician” can look at it. In that case your camera is going to probably sit on a shelf for quite a while. I once worked at a long forgotten camera house, which is where I started my technician career. I ended up leaving because I felt their business practices were unethical. Notice that in a way I am implicated in the above scenario because I was the “technician”. The problem was, that company did not spend the money to purchase the needed tools to do these types of repairs. What they were paying me wasn’t that bad, but it wasn’t enough for me to spend thousands of dollars of my money to buy the necessary tools to do these repairs. Besides, they had to approve the time I spent working on the cameras because I would bill them for that by the hour (I was an independent contractor for them). Most of the time, it wasn’t a priority for them, unless it was absolutely necessary, usually because the camera would not turn on at all or a lens was totally out of focus. Many times the cameras needed new parts, or might have needed to be sent to someone with the special factory tooling to fix them. 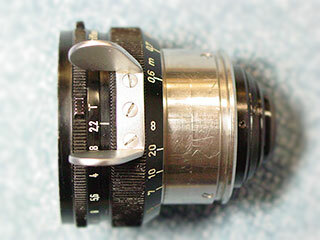 In many other cases, it was the camera’s accessories that were incompatible, or did not work at all. I really felt bad for a lot of customers that were victimized by the above scenario. I tried to help them when I could, but I can’t tell someone else how to run their business. So I quit. That’s when I went into business for myself. You’re probably thinking “What happened to ‘the customer is always right‘”. That idea was the result of retail stores that made most of their money selling low priced items at very small profit margins. Most of their money is made from high volume and repeat customers, so taking a return on a non-defective item or matching a sale price from a newspaper ad, even though it was a typo, makes sense for them because it keeps you coming back to spend more money. In this business, the cameras and accessories that are sold are rare low-quantity production items, made even rarer by their age. Most customers will only buy one camera from a particular seller, so there is no incentive to build repeat business unless you offer other services such as repairs and modificiations like we do at CinemaTechnic. 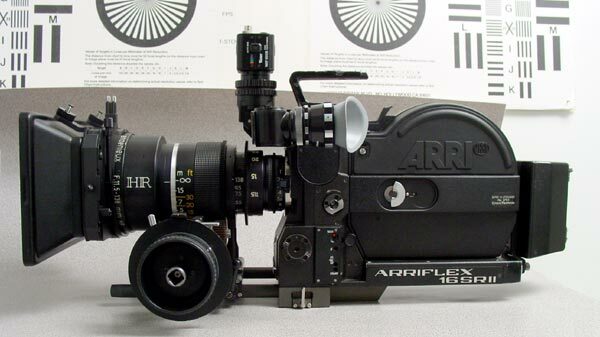 These days, eBay has become the place where a lot of used cine cameras are sold. Instead of most used cameras being sold by a few used camera dealers, now we have the owners themselves selling their cameras. 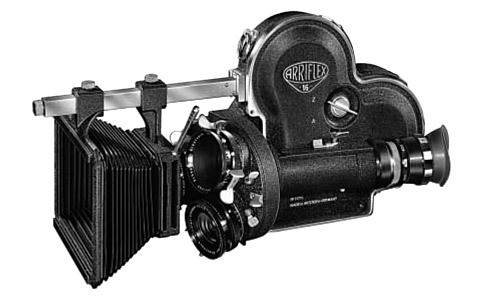 EBay is the “Wild West” of cine camera sales. Back when eBay began selling in large volume in the early 2000’s there were very few rules. You will be sending your money to a complete stranger, possibly located in a foreign country, and waiting for them to send you the camera. There are no guarantees and no possibilty of returning anything for refund, and you might not even get what you paid for, or anything at all! Still the eBay deals are hard to resist, with some items selling for ridiculously low prices. You have to be very careful to check out the eBay seller. Check the seller’s feedback rating (our eBay seller name is cinematechnic and we have a feeback rating over 200, with 100% positive feedback). See if the seller makes his location clearly known, and how long the seller has been on eBay. Be very careful about auctions for very expensive newer equipment which is sold for a very low initial bid, by a seller with low or zero feedback in a foreign country – especially if the equipment is not located at the seller’s location. There are many rip-offs on eBay. Remember that eBay does not hold itself responsible for preventing fraud. It is up to the eBay bidder to protect themselves. You are truly on your own. Try sending an e-mail to eBay and see if you get a response from a human being. In several years of eBay selling, I have never got anything other than a compter generated response. In response to the above scenario, eBay has repeatedly changed their rules and increased their fees. The rule changes have all been in favor of the buyer and against the seller (for example, seller’s can leave negative feedback to a buyer, even one that rips them off). Because of this, most individual sellers have departed eBay (including myself). Now eBay is dominated by bulk sellers. True bargains are much harder to find. I know what it’s like being a first time camera buyer. I took a big chance and bought a 16SRII back in 1994. That’s my 16SRII in the above photo, along with my Angenieux 11.5-138mm T2.3 HR. I was fortunate that I found an honest dealer. I didn’t really know what I was doing at the time. I could have bought a camera for less, but I’ve never regretted buying the camera I now own. That 16SR has never let me down. 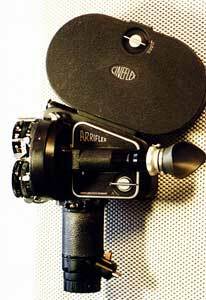 In fact, that camera is still running today and is available for rent from Old School Cameras in Burbank. I had to go out and make my living shooting with my camera (or with other rented cameras on 35mm jobs). I know what it’s like being in the field, both as a Camera Assistant and DP/Operator. I know what you are going to need to work efficiently, look professional, and make money with your camera. Since I’m a camera technician, I can make money just checking out and servicing a camera for a prospective buyer. I don’t have to make a big profit on the sale. I really don’t do that much volume in the way of film camera sales, but I’m always happy to help out someone who is looking to buy a camera. Sometimes I come across a bargain camera or accessory and I pick it up. I’ll clean it up, fix what’s wrong with it, and list it for sale on this website, or on Ebay. But I’ll never sell it if there’s something wrong with it. If you’re in the Southern California area (or you can get the camera to me), and you have a camera that you are thinking of buying and you want to have it checked out, get in touch with me. If you have a particular type of camera in mind and want someone to hunt a nice one down for you, I can do that as well. My shop is located in Burbank, CA, inside Hot Rod Cameras. We are located a block West of ARRI Burbank. I certainly hope you will send me an e-mail before you make an expensive mistake. I’m sure that now, after reading this, you’ll be much less likely to have a bad experience.